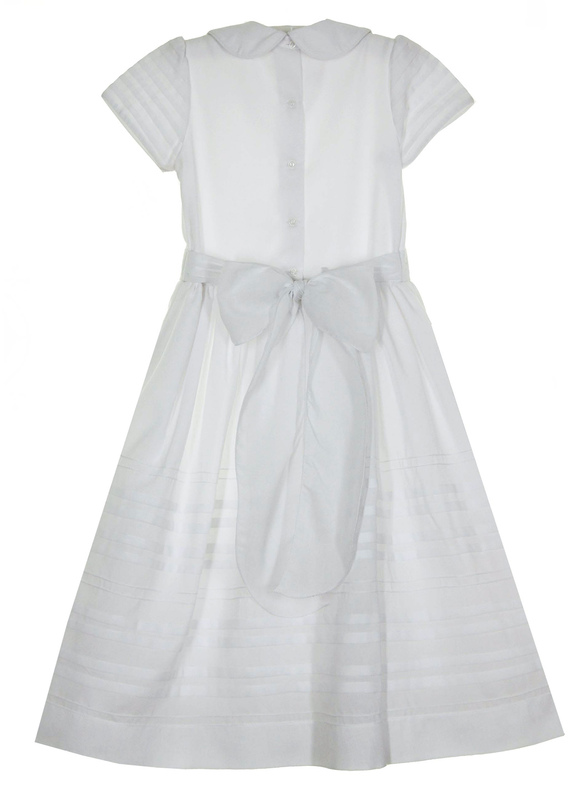 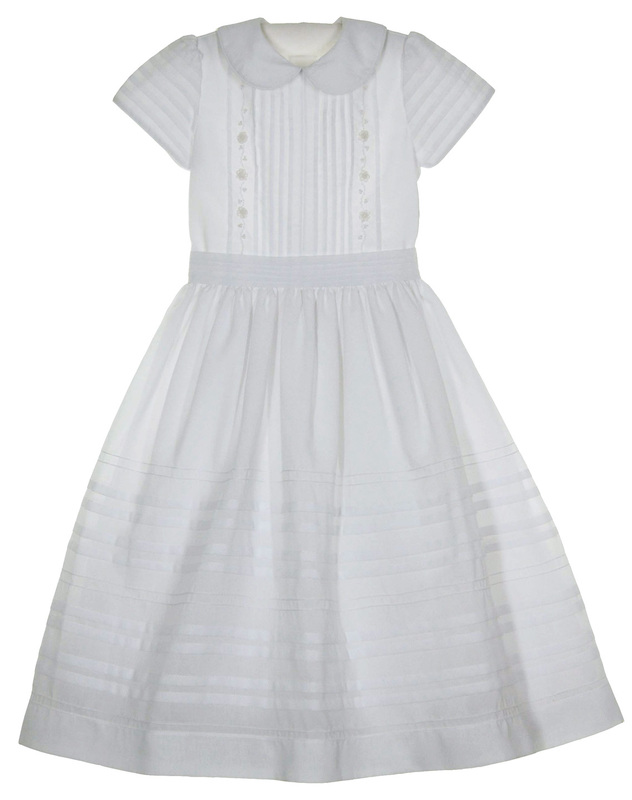 This beautiful white cotton blend voile dress is made by Will'Beth, a leading manufacturer of beautifully detailed children's clothing. 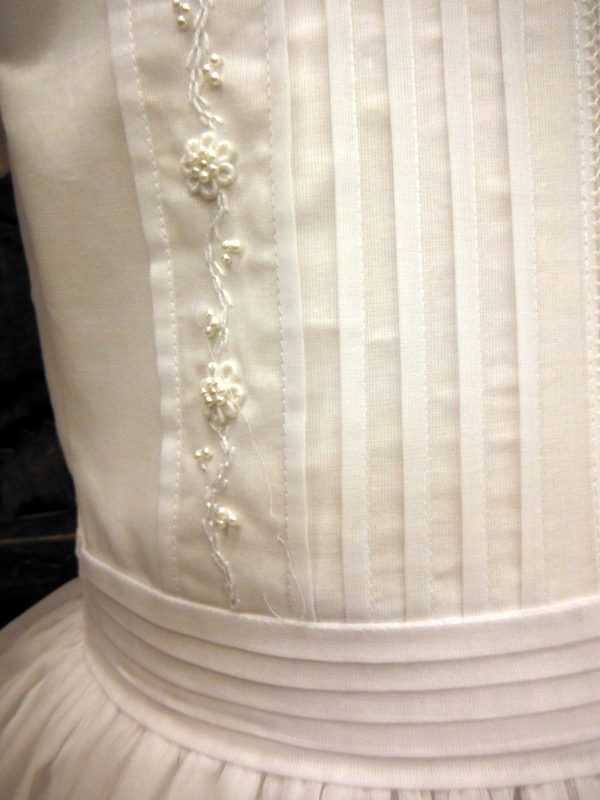 It features a vertically pintucked bodice accented with embroidered flowers centered with clusters of seed pearls. 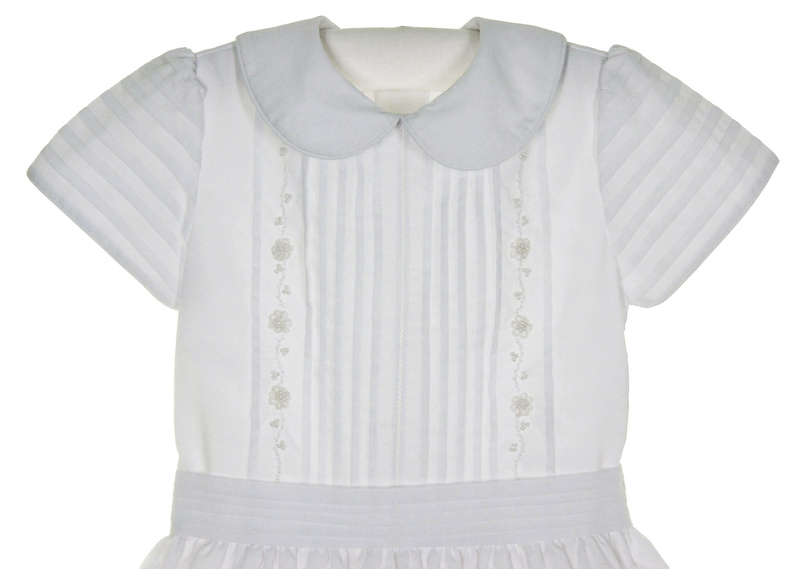 It has a Peter Pan collar and short pintucked sleeves with a horizontal pintucked waistband. The full skirt has rows of pintucks accented with a row of seed pearls. 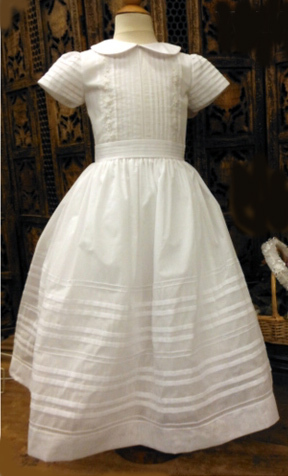 This lovely dress is fully lined with a small crinoline ruffle attached for extra fullness, so no slip is needed. 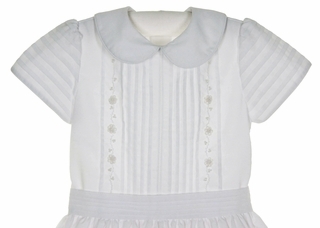 A back buttoned closure with a sash to tie in a bow completes this elegant dress.